The world of Pacific Rim Uprising just got even bigger, with the first ever Gallery PVC statue from the hit sequel! 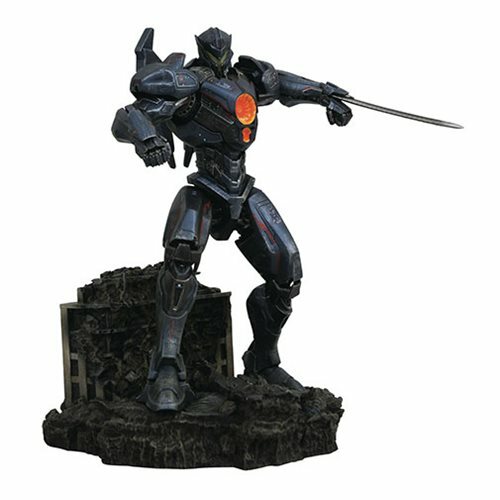 Gipsy Avenger stands on guard against Kaiju (and rogue Jaegers) above a diorama of decimated buildings in this 10-inch tall sculpture, cast in high-grade plastic and featuring detailed paint applications. The Pacific Rim Uprising Gallery Gipsy Avenger Statue comes packaged in a full-color window box, it was designed and sculpted by BigShot ToyWorks.